This is the vision of the Ronald McDonald House next to Akron Children’s Hospital. It’s a place that has provided comfort, care and supportive services to families who have children being treated by the hospital since 1985. The first Ronald McDonald House was established in 1974 in Philadelphia after a Philadelphia Eagles football player’s daughter was treated for cancer. McDonald’s made the first house possible through proceeds from the sale of Shamrock Shakes. The concept began to grow, allowing others to team up with McDonald’s restaurants to provide Ronald McDonald Houses in other cities. During his time as CEO and President of Akron Children’s Hospital, Bill Considine saw many parents sleeping on cramped waiting room chairs and even on floors in order to be near their sick children. 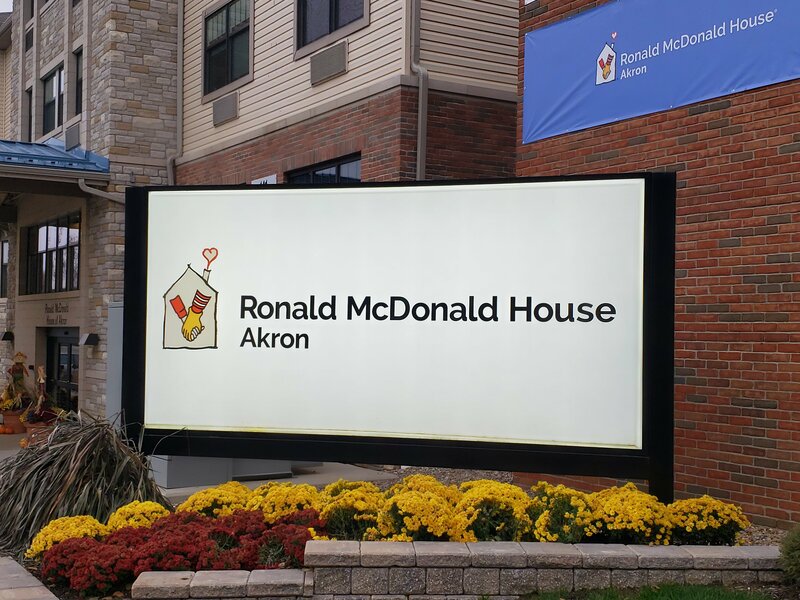 Over $1.8 million was raised to build Akron’s 20-bedroom, 17,000-square-foot Ronald McDonald House. As Akron Children’s Hospital has grown over the years, it also brought more families to the Ronald McDonald house. With an ever-growing waiting list, the House opened a 48,000-square-foot addition in April 2018. This new addition includes 42 guest rooms, each with a private bedroom and bath stocked with all the necessities. There are hot meals prepared every evening in the dining room and a fully stocked pantry that is open 24/7. There are free laundry facilities with supplies. It also has a rec room, playroom for the children and an outdoor space. Families are usually asked to pay a $20 per night donation to stay at the House, but its management says no family will be turned away if they are unable to pay the fee. The Ronald McDonald House says 96% of its funding comes from local donors, including via room sponsorships, the pop tab program and a vehicle donation program. The House is also supported by a group of about 150 committed volunteers. 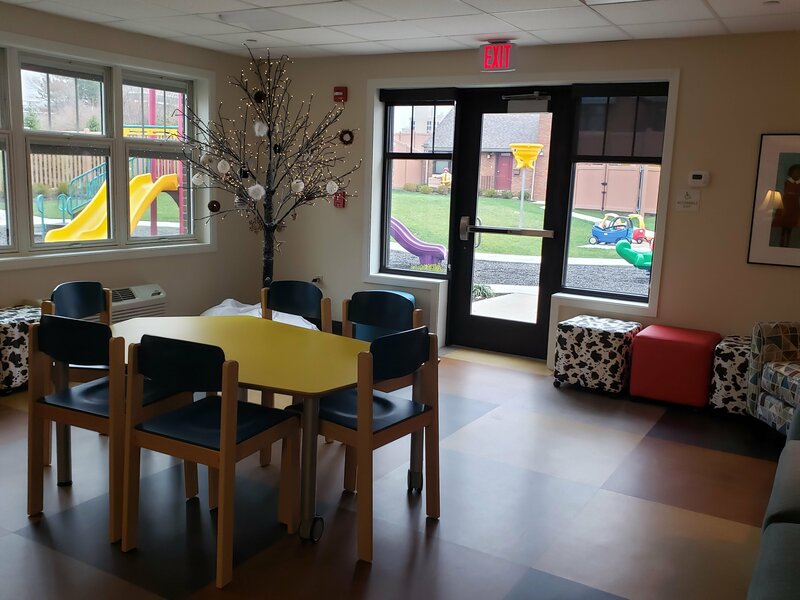 There are several opportunities for individuals or groups to volunteer at the Akron Ronald McDonald House, including in meal prep and group activities. Hope and compassion is clear at the Ronald McDonald House as it provides a home away from home to its residents. To learn more about the Ronald McDonald House and ways to volunteer or donate, visit www.rmhakron.org. Courtney Malita is a senior at the University of Akron studying psychology and philosophy. She enjoys longboarding and skateboarding, art and photography.